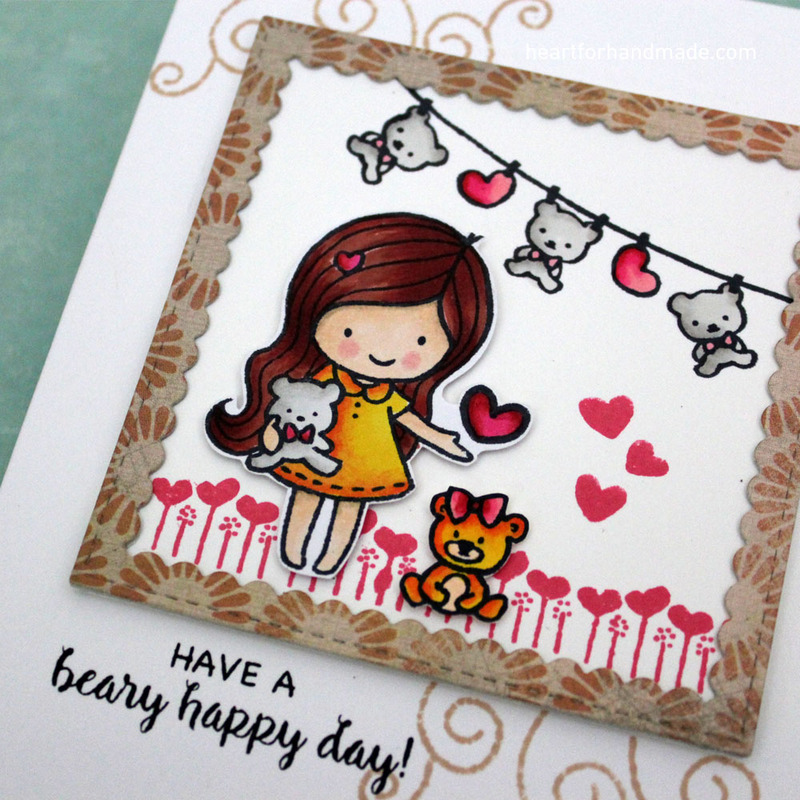 I’m playing with Paper Smooches stamps called Needle Little Love. I also added some washi tape on both sides of the stamped frame. 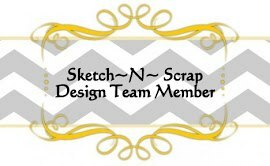 I used a sketch from Sketch N Scrap, Card sketch # 82. 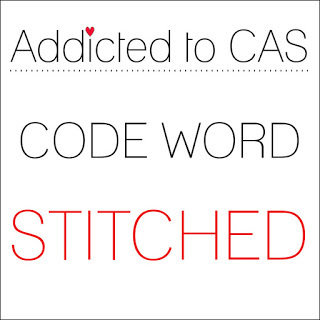 I’m also entering this card to Addicted to CAS, Challenge # 97, Stitch. 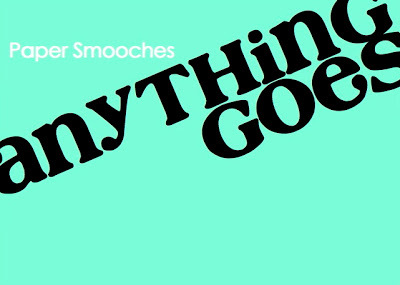 and Paper Smooches, September Challenge, Anything Goes. 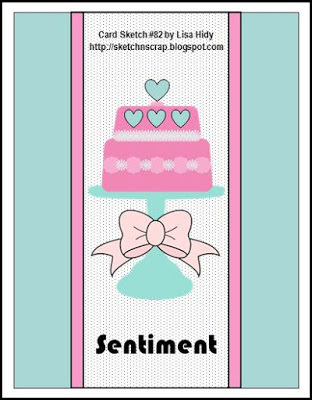 I have a quick share of a card using Love Cynthia stamp. One thing I love about alcohol markers is that it blends nicely when you combine 2 to 3 colors and they also give vibrant colors. I die cut the frame using My Favorite Things scallop die and additionally stamped some swirly vines on the sides. 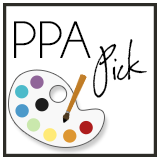 I’m using a card sketch from CAS Colours and Sketches Challenge # 192. 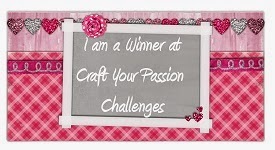 I’m also entering this card to Addicted to Stamps and More Challenge # 212, Make your mark. 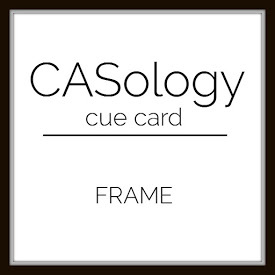 And CASology, Week 216 – Frame. Just popping in quickly to share my second card for My Favorite Things Card Design Superstar 2016. 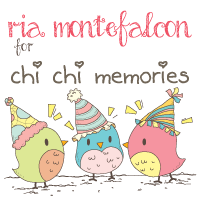 You can find my first card entry here. 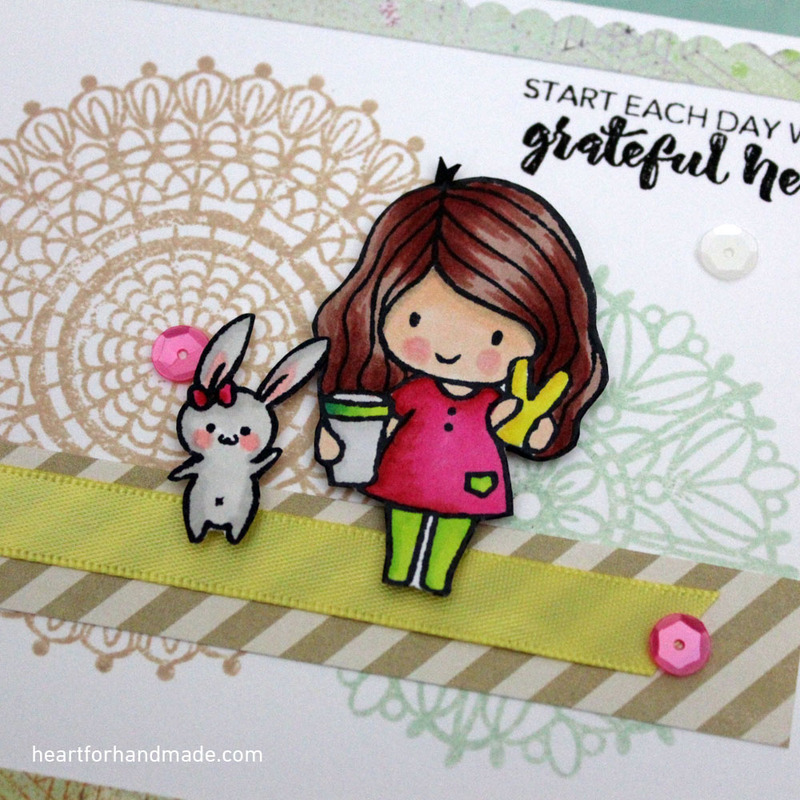 I’m happy to use it in today’s card background. 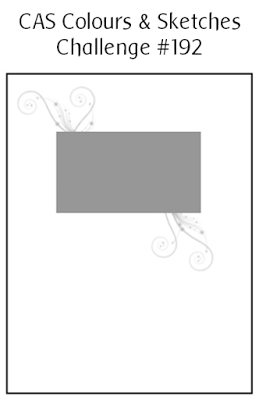 I used it to die cut a subtle designed paper, with a hint of soft color outline. 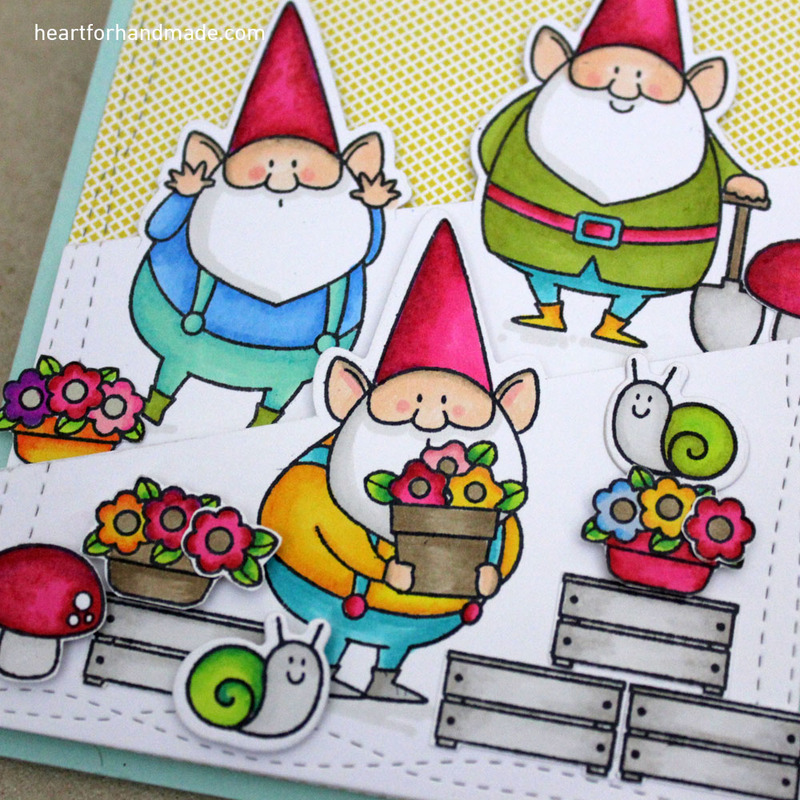 Also, I had some coloring on my images, my gnome with watercolor and the fence and flowers with promarker. I also placed a die cut vellum using MFT dies and placed it behind the images so they will not be lost in the floral die cut design on the base. And that is all. Until then! 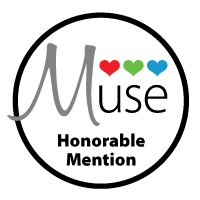 My Favorite Things is running the 2016 Card Design Superstar contest and I saw the current entries from MFT blog. 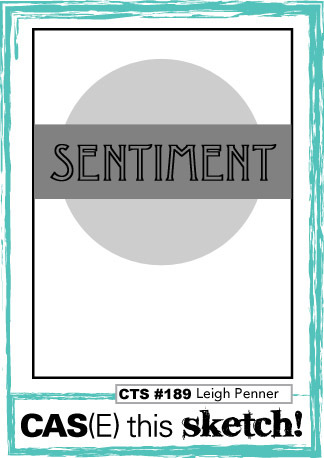 There’s a lot of amazing card submissions and its so great to see so many ways one can do on a stamp set 🙂 It will be closing in a few days but I’m taking my chance to share my take. I have nothing to lose right? It will always be fun. I only have 3 stamp sets from MFT. One is the Santa set and the other the Pig and Gnome sets. 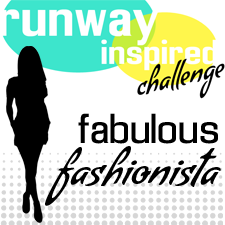 I also have a very limited dies from MFT so I need to utilize whatever I have to create something fun for the challenge. One of the conditions is of course to use MFT stamps and dies only. So here’s my contribution. 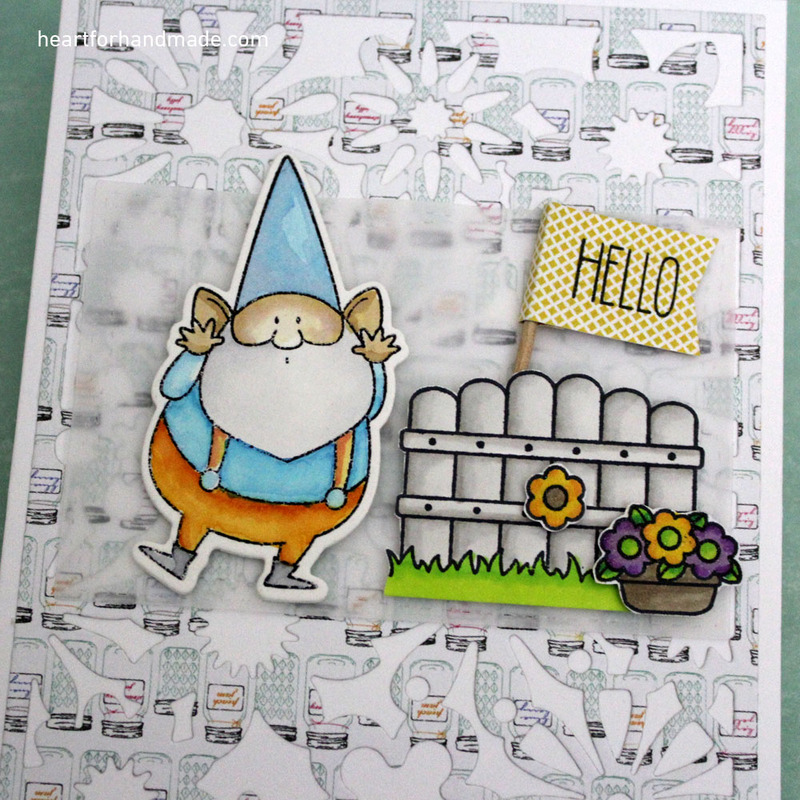 I used a combination of the 2 stamp sets I have (Pig & Gnome) to create a small flower-pot scene. 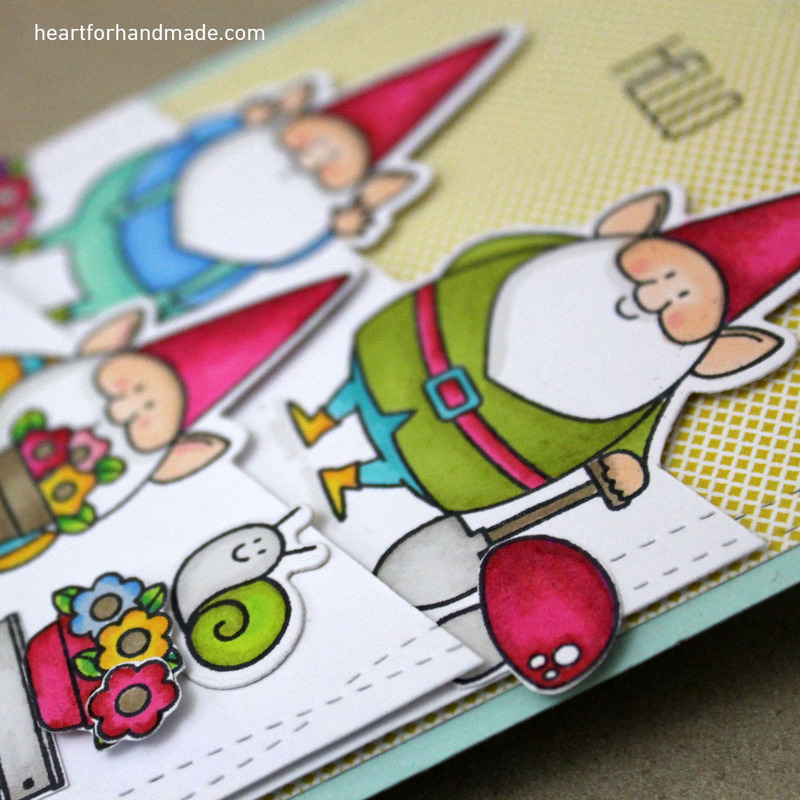 I first partially diecut the 3 gnomes in 2 separate panels, colored them with promarkers then later layered them using dimensional adhesive. 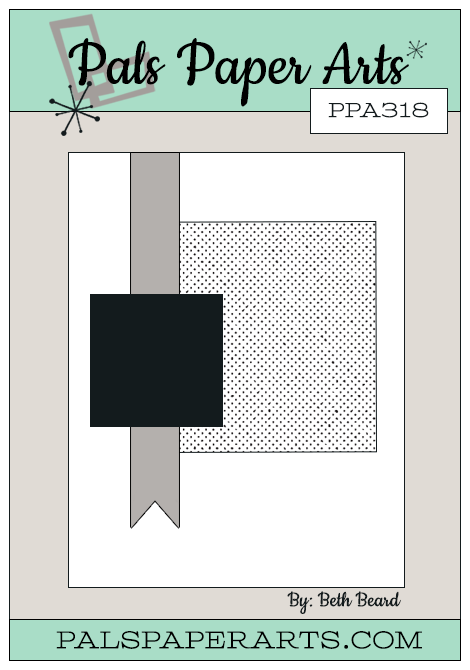 For my border, I used the wonky rectangles to add some accents. 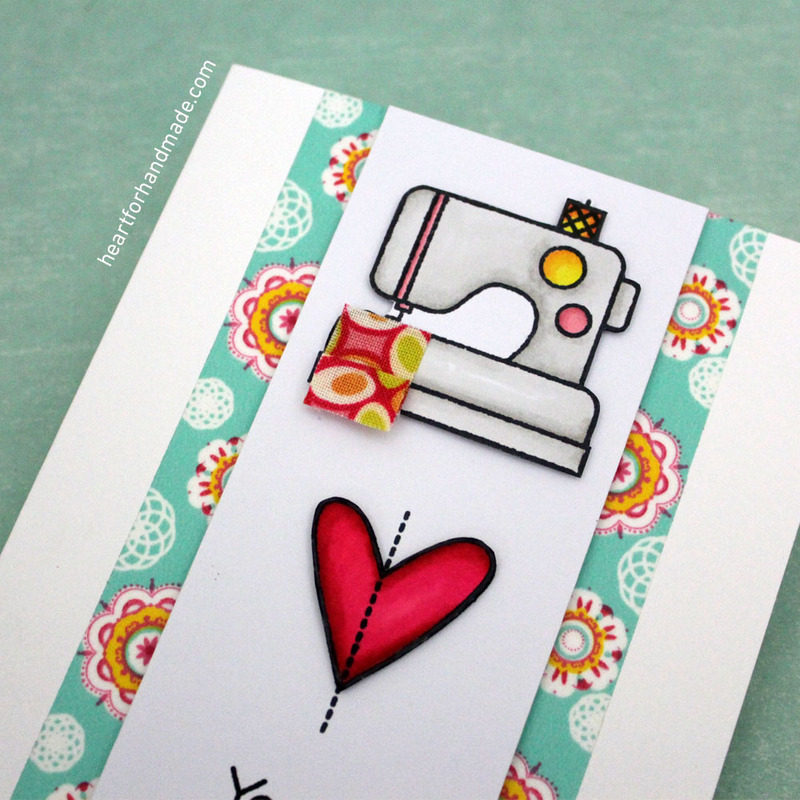 Another closer look of the layering and partial die cutting I did on this card. Partial die cutting and panel layers. 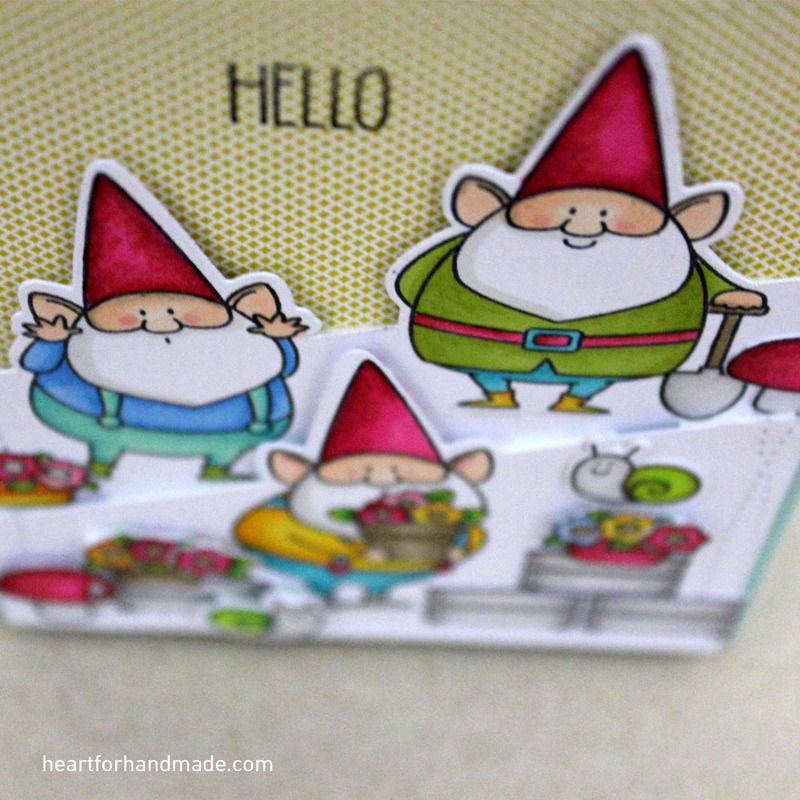 There are 2 different white panels with the gnomes, one has the 2 gnomes and the other layer with 1 gnome partially die cut with the rest of the flower pots etc. 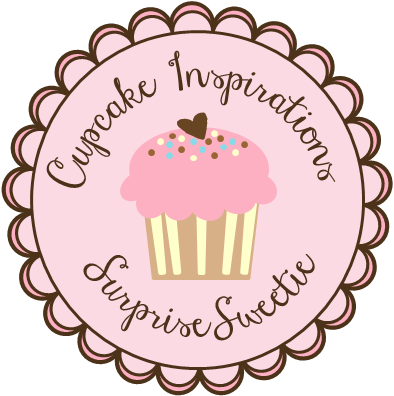 I’m so excited being a Surprise Sweetie for Cupcake Inspirations Challenge # 376. 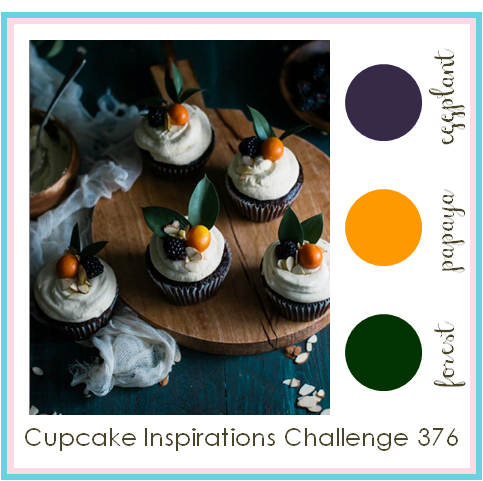 I’m happy to join you all and share my take in this week’s color challenge. 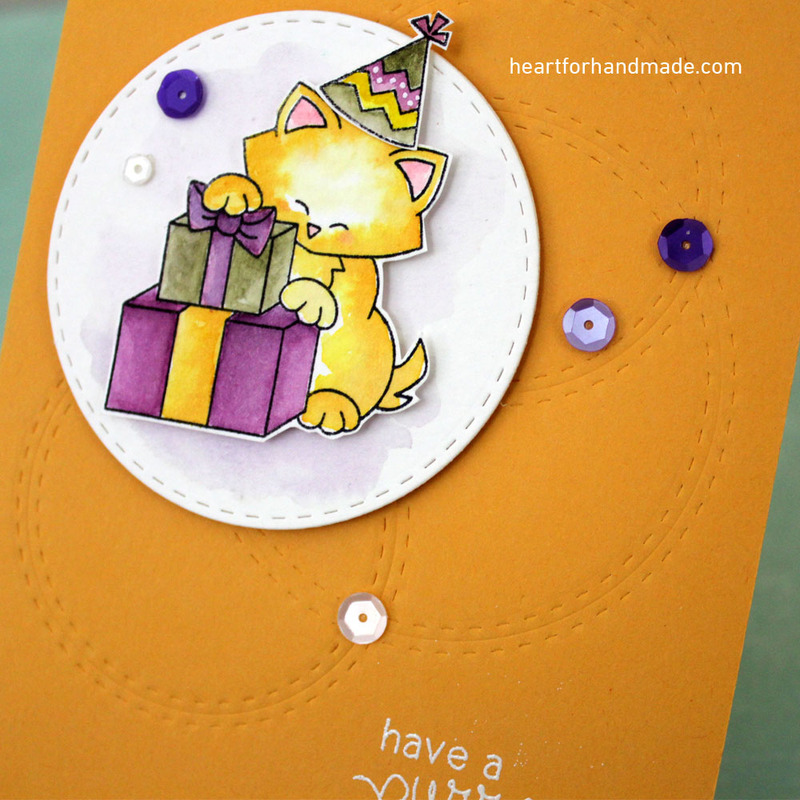 First up, I colored my image from Newton’s Nook Birthday Bash stamp set with distress ink pad. I recently purchased mini distress ink as I find them great for watercoloring. 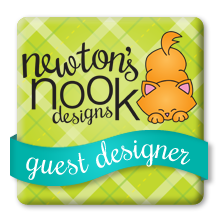 I fussy cut the colored image after filling in the colors and also added a very light purple background color in the circle die cut. 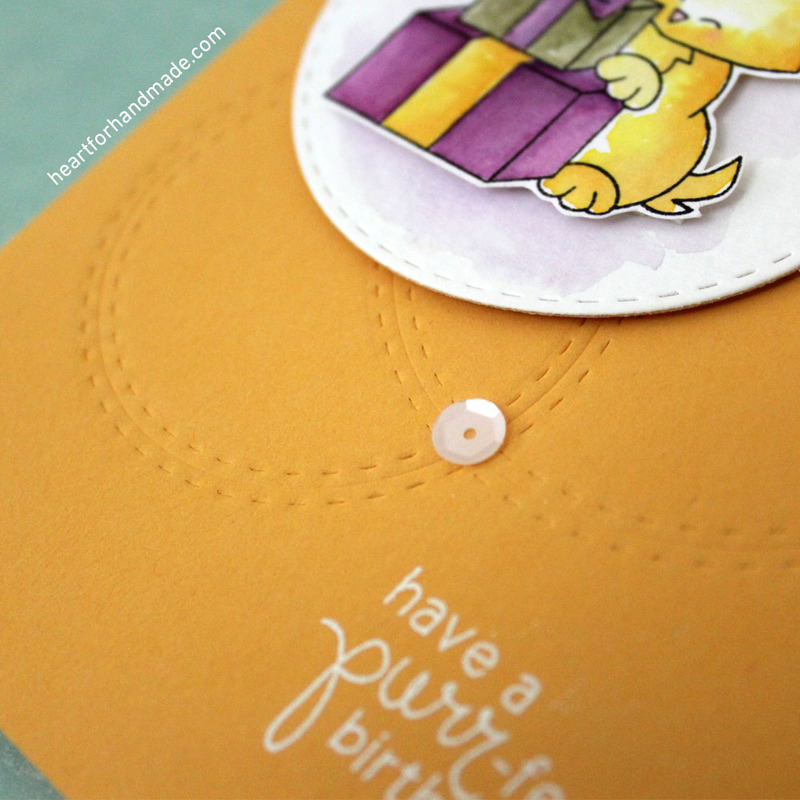 For my card base, I added some texture by embossing some circles using my circle die cuts. 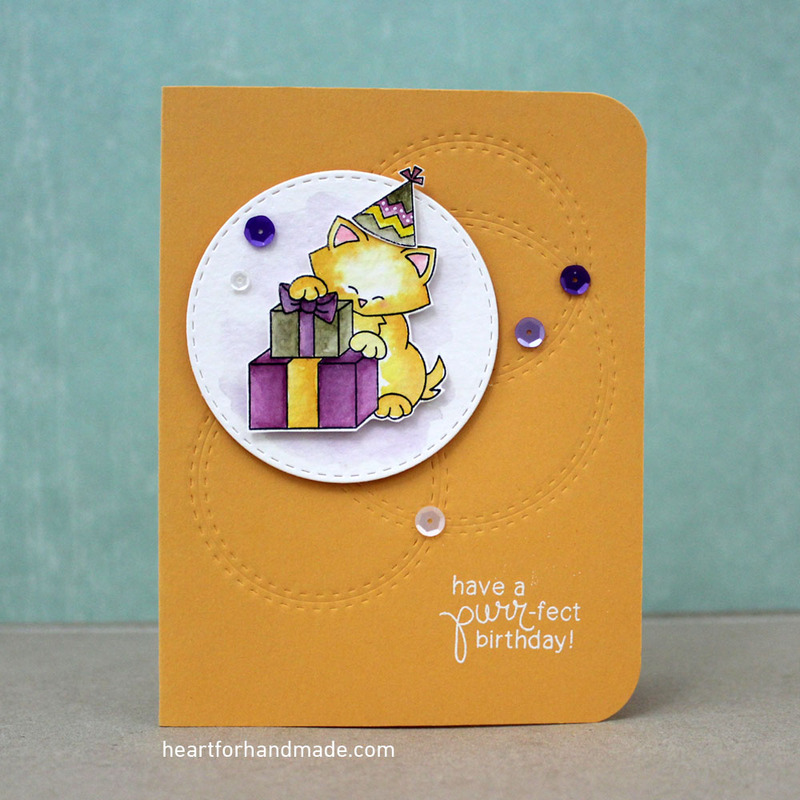 I also put some sequins to complement the colors I used in the stamped image. It seems like the weather is changing already from summer to a more friendlier temperature. I can tell as its also around this time that I get a cold 😦 Not really a cool thing but that will not keep me do another card today. 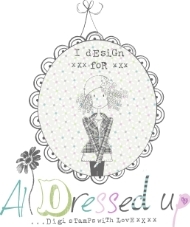 I used a card sketch from Pals Paper Arts, Sketch # 318. My main image, farmer is from Paper Smooches. I colored him with promarker following some autumn colors. I used another stamp set to stamp the autumn leaves in the bigger panel and Thankful sentiment just to complement the season. 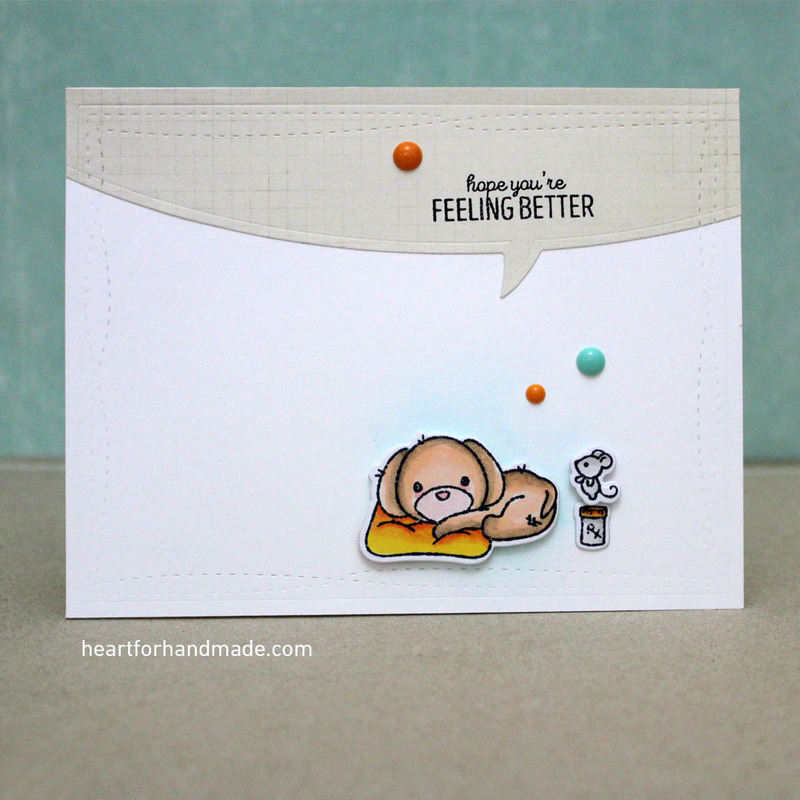 I also stamped the card base background with woodgrain background stamp from Hero Arts. 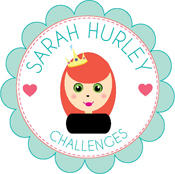 I’m also entering this card to Just Keep on Creating September Challenge, Anything Goes. 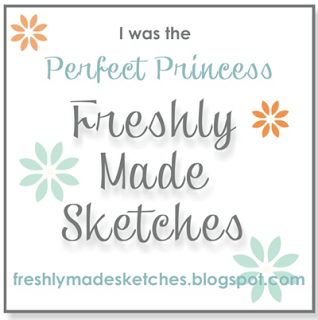 Just popping in quickly to share my take in this week’s Sketch Challenge at My Favorite Things, Sketch Challenge # 298. 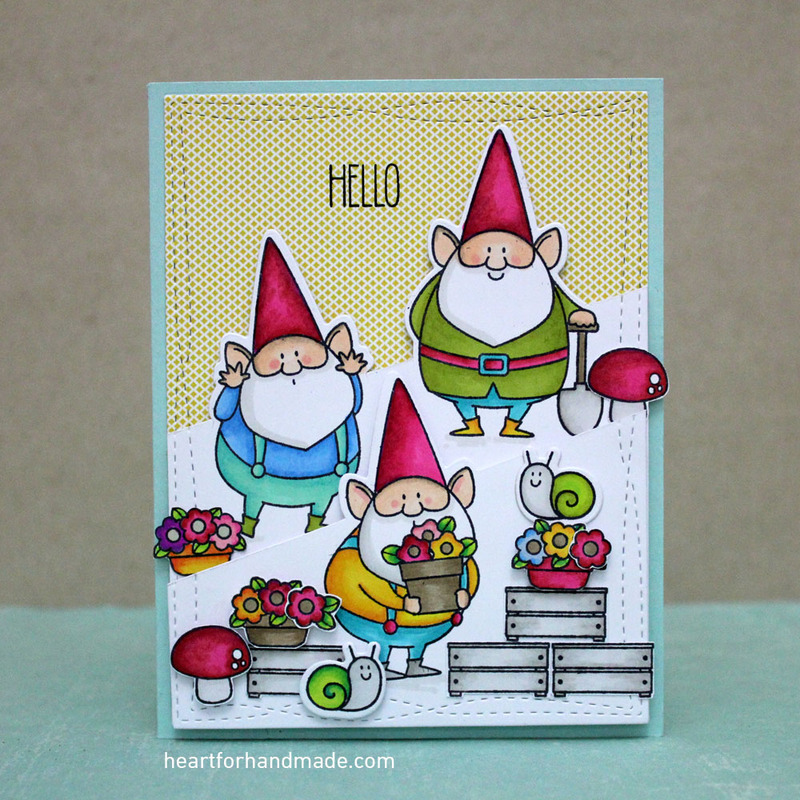 I used the stamps from You Gnome Me and die cut the images too with their coordinating dies. For coloring, I used my promarker and a bit of copics. 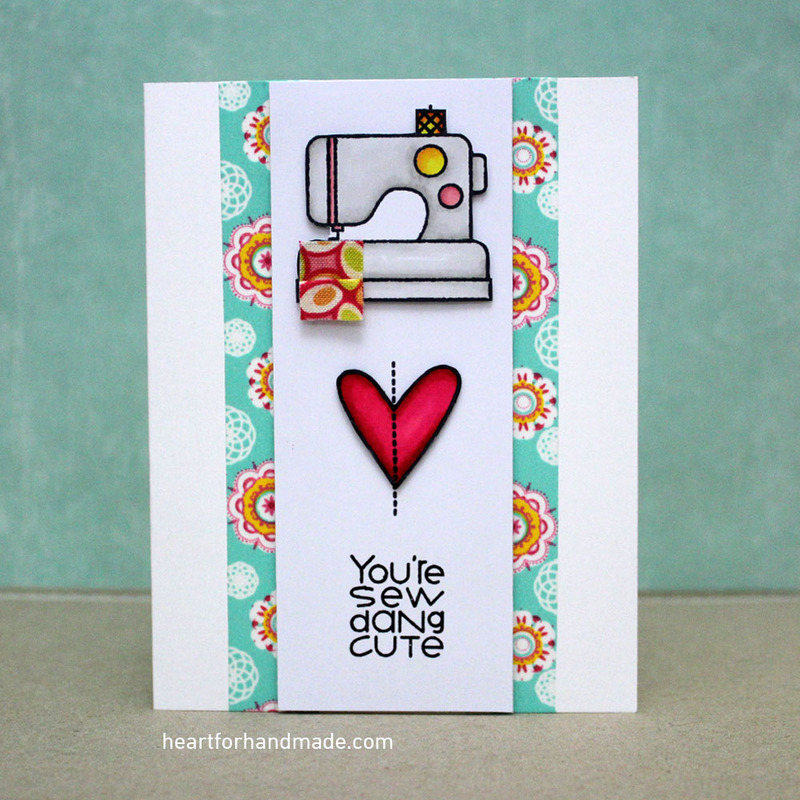 I also used the square scallop dies also from My Favorite Things. 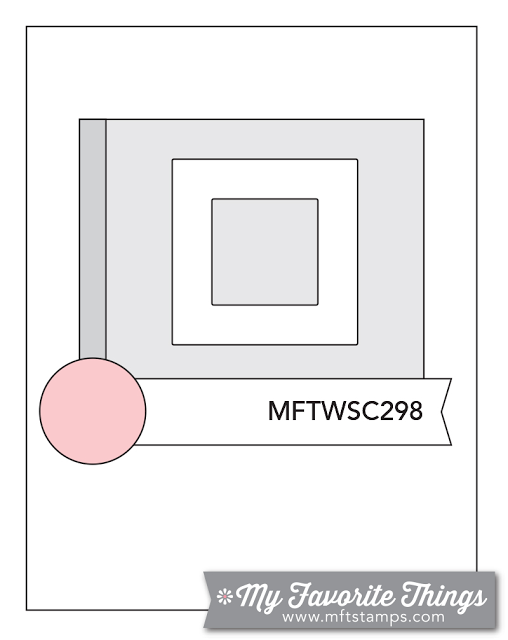 I’m into MFT stamps lately and I’m building my collection slowly when I get the chance to get new supplies online. 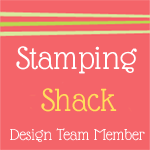 I’m also entering this card to Addicted to Stamps and more, Anything Goes. Today I received my first set of stamps from Love Cynthia. I have been waiting for about forever to get hold of these stamps as all of the ones I really like are always out of stock. I finally got the chance when they went back on stock last month and took the opportunity to buy some goodies. 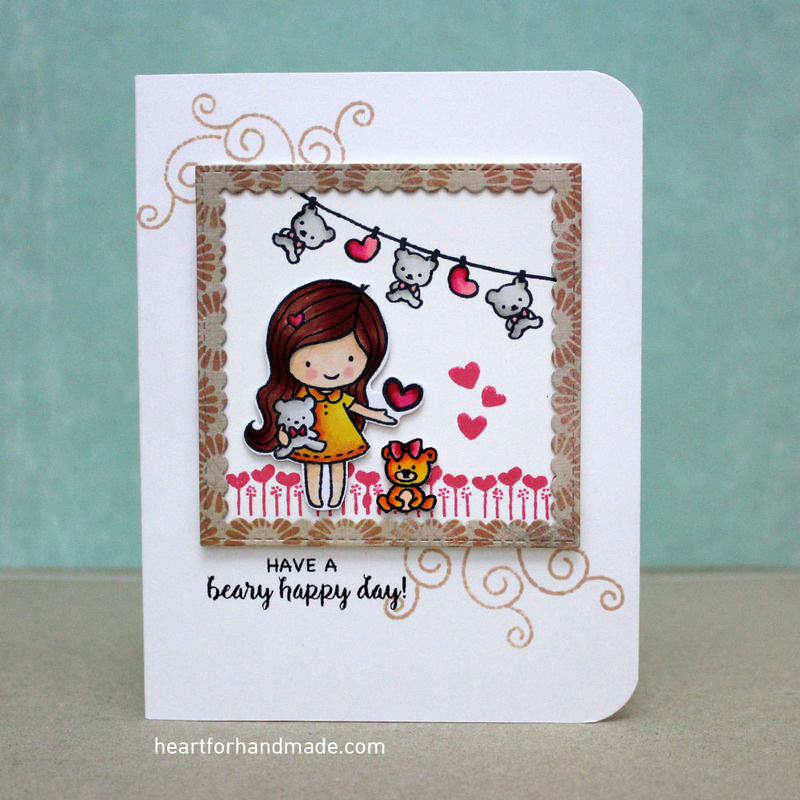 My card sketch inspiration is from Sketch N Scrap, Sketch # 81. I first stamped the two doilies in the background in two different colors, then colored my images using promarkers and copics. 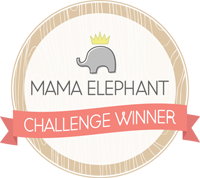 I also diecut the frame from Mama Elephant dies and added some sequins and ribbon for texture. 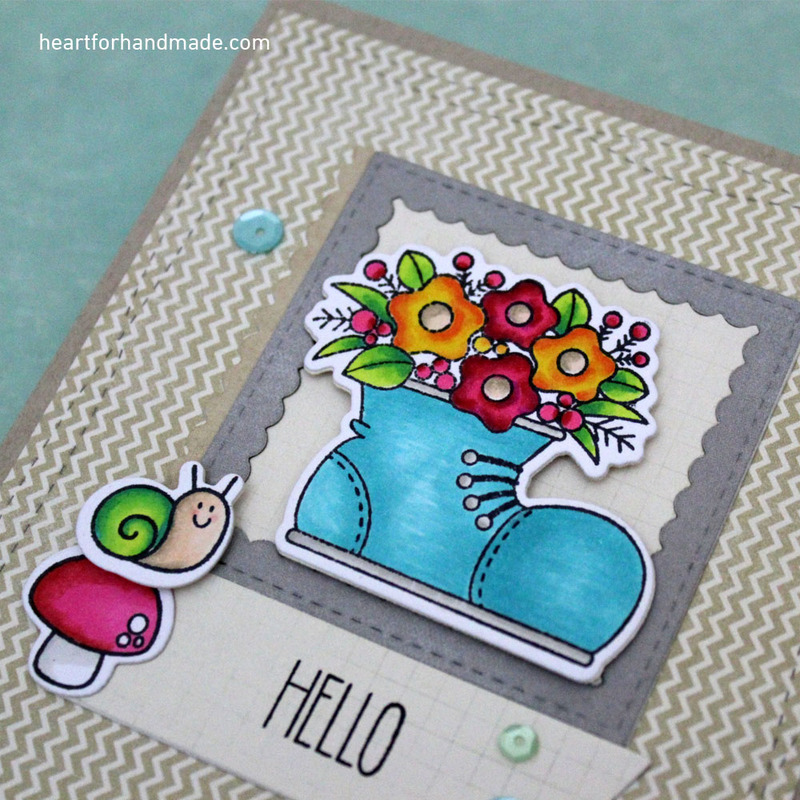 I’m also entering this card to Simon Says Stamp Wednesday Challenge, Clean and Simple. 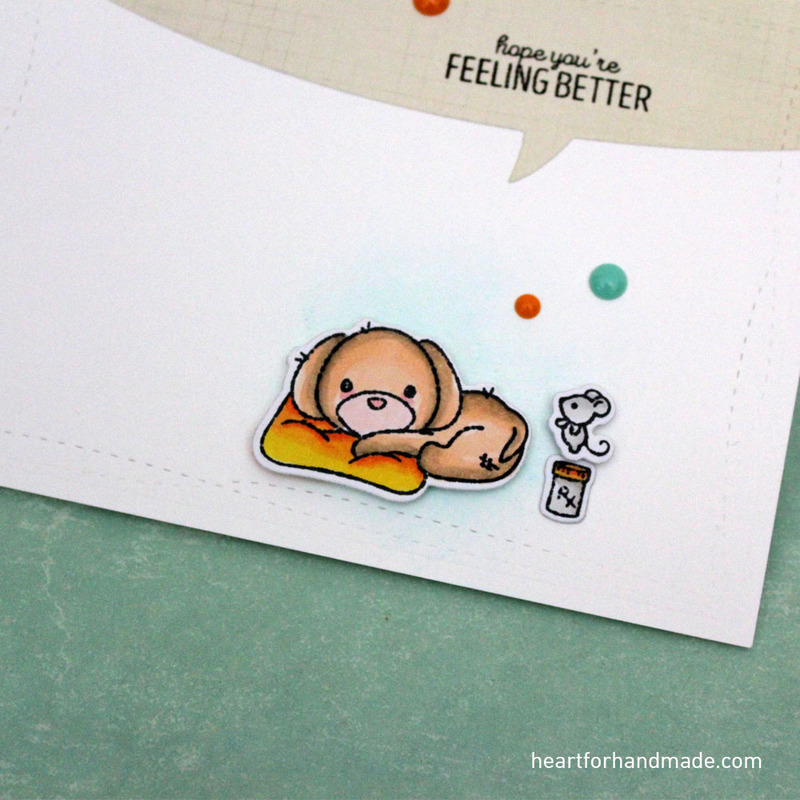 A clean and simple card using my new stamps from WPlus 9, Get Well Gang. So many cute images in the set but for today I used the dog image. I colored him with copic and promarker then diecut him along with the mouse and a medicine bottle. I also run an embossed wonky stitches though it doesn’t show much in the paper. 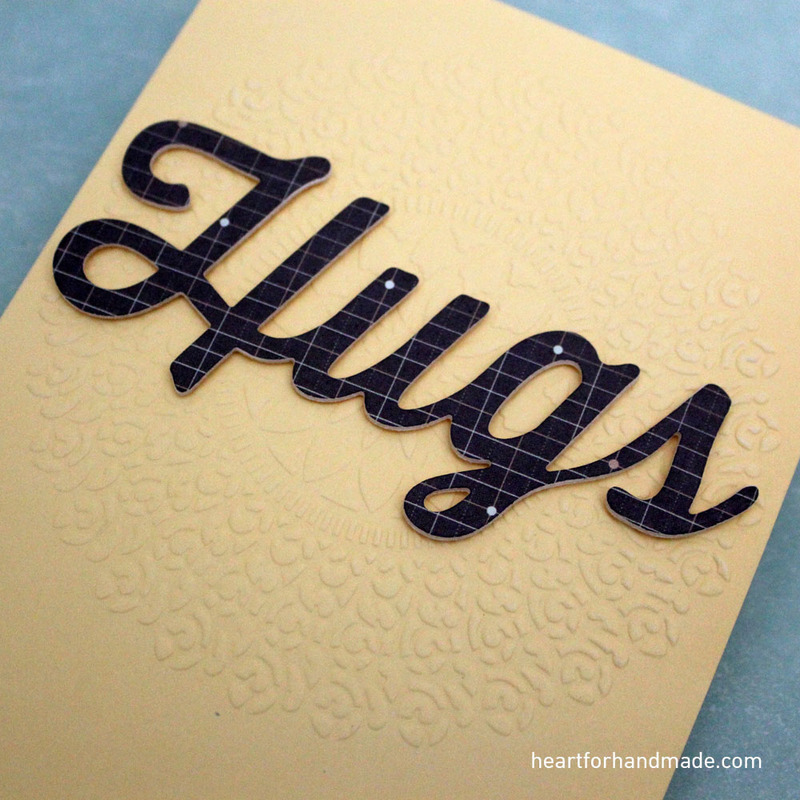 I need to add another paper next time to emphasize the embossing. For some color, I also added some colored dots and distress inks in the background. 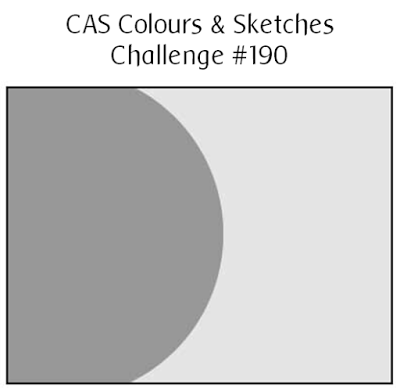 I used a sketch from CAS Colours and Sketches, Challenge #190 Sketch. 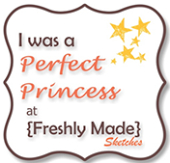 I flip the sketch with the curved on top rather than to the left. I’m also entering this card to CASology, cue card-Bark. 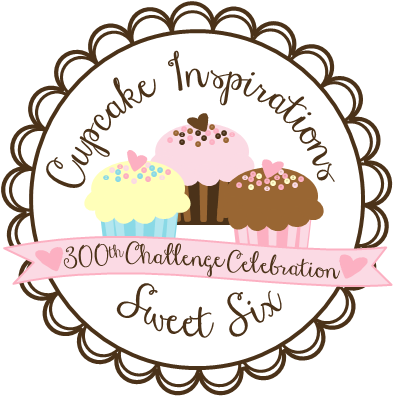 Also in Addicted to Stamps and More, Challenge# 211- Anything Goes. 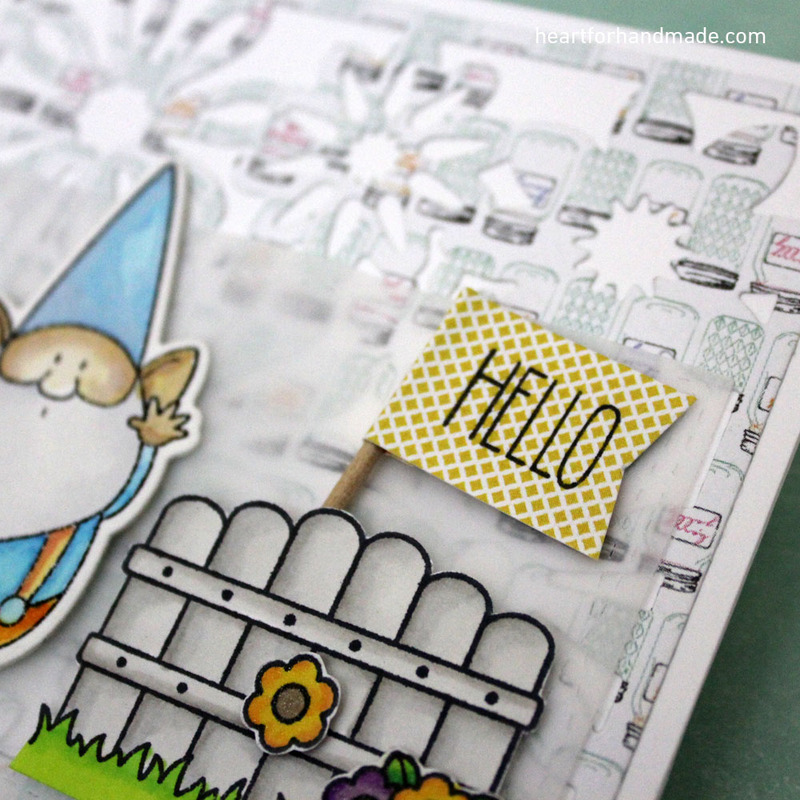 And Simon Says Stamp Challenge, Clean and Simple. 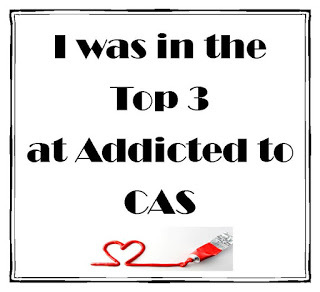 Just checking in quickly to share my take in this week’s (CAS)E this Sketch #189. 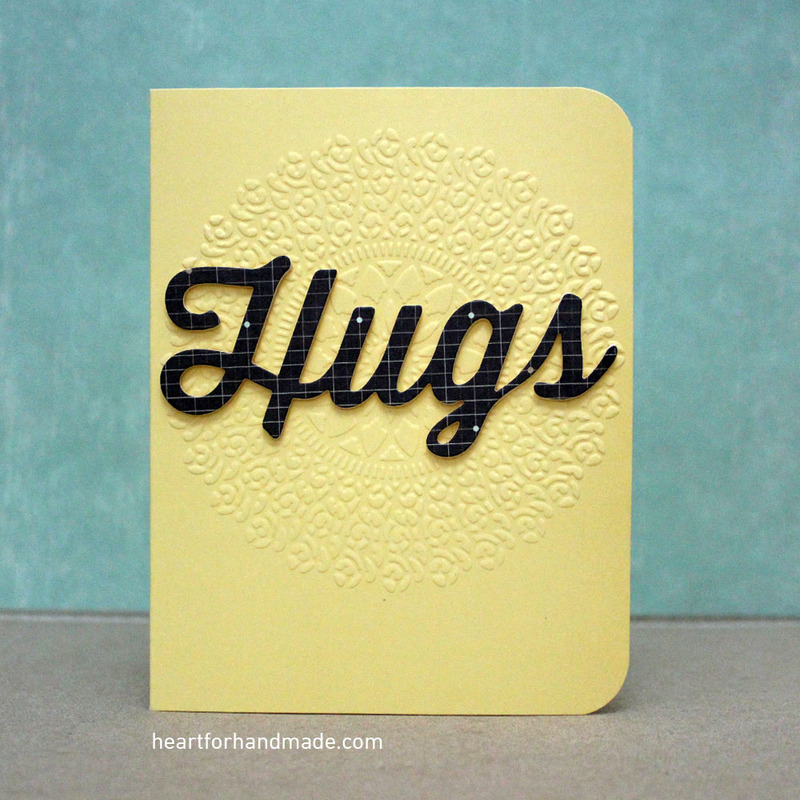 I’m also entering this card to PDE Linky Party: Ch #137 All Cards (Card Only this week).